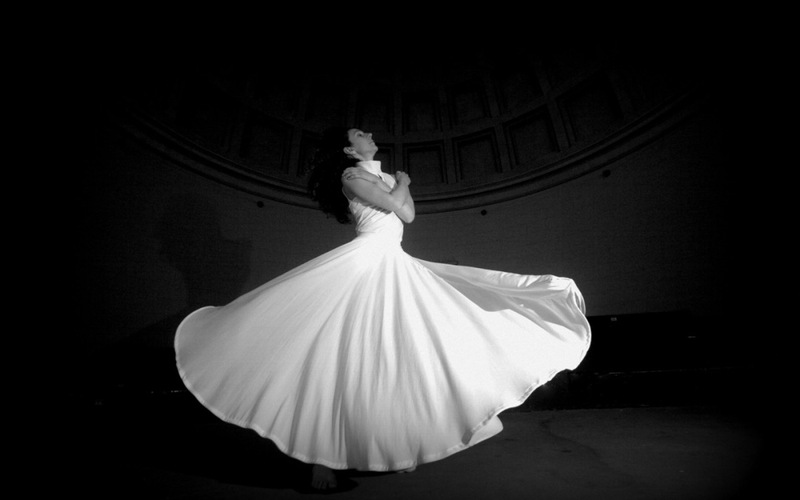 February 20 at Madrona MindBody Institute, Port Townsend, WA: a Sufi-inspired Alchemy Spinning Workshop with Raquel Boluda to expand our consciousness and connect with basic human goodness through our fully embodied presence. 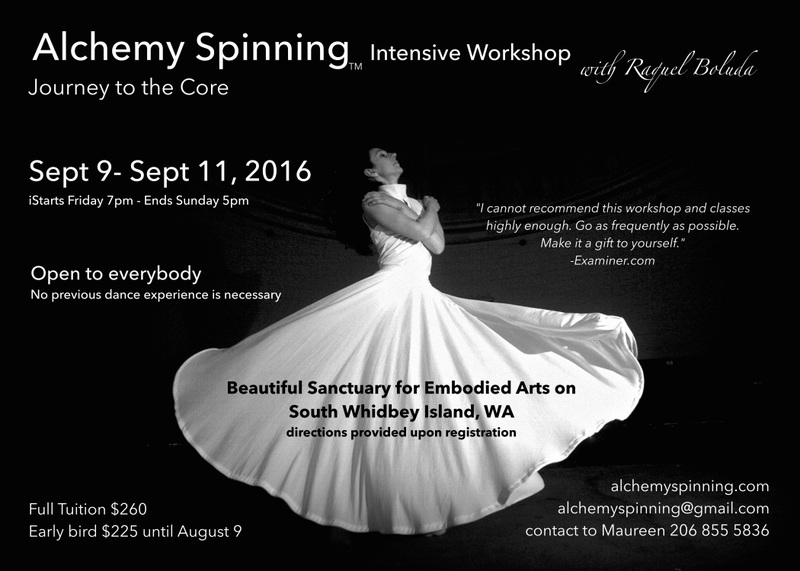 Alchemy Spinning™ is an excellent platform for personal growth, healing, innovation, group facilitation and artistic inspiration. Cost: $85 Early Bird until February 6th. $100 after February 6th. 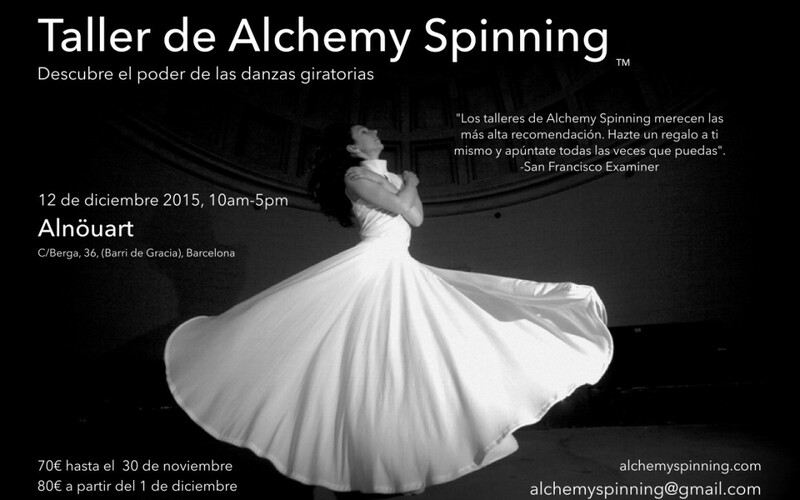 December 12 at Alnöuart, Barcelona, Spain: Discover the power of whirling, Alchemy Spinning Workshop with Raquel Boluda. 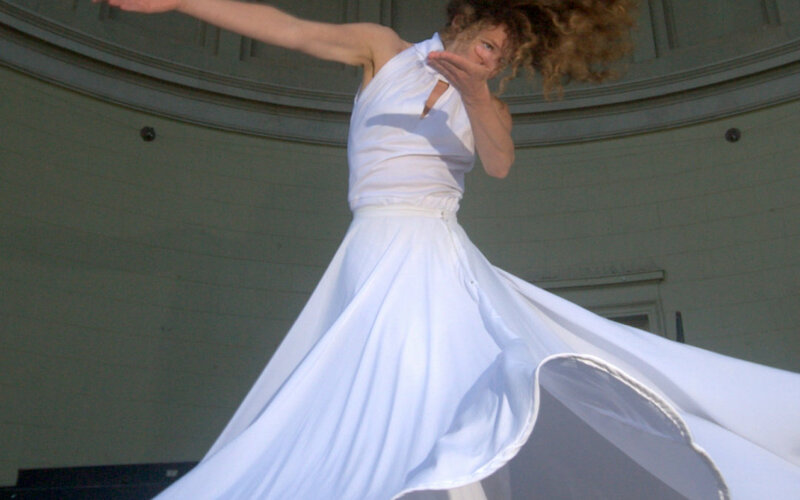 This workshop will take us on a journey to connect deeply with our bodies and our basic human goodness, and experience an expanded state of consciousness through the whirling dance. 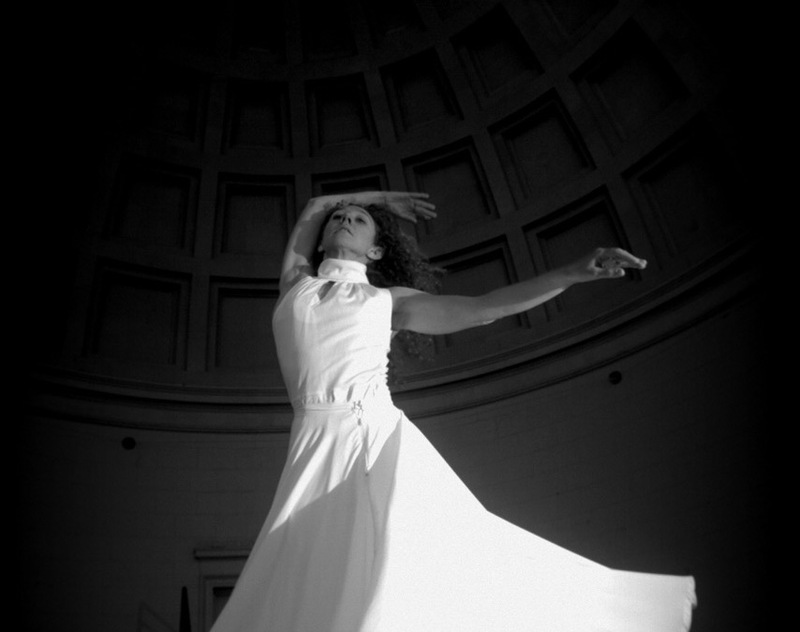 We will end up the workshop with an integration to connect deeply with the experience, ideas, insights, healing and creativity through art. Cost: 70€ Early Bird until December 1st. 80€ after December 1st.